Specialty hospital chain Paras Healthcare aims to have around 2,000 beds in the next three years as it plans to expand operations in North India. “We aim to have around 1,800-2,000 beds in the next three years. There is a huge demand and supply gap for healthcare facilities in North India. So we would like to focus on this region for further expansion,” Paras Healthcare Managing Director Dharminder Nagar told PTI. “There is a lot of pent up demand in places like Bihar and Uttar Pradesh. We focus on affordability, accessibility and quality and would like to be near the patient,” Nagar said. “But one thing is clear we are looking at a long-term provider for investing in the future projects. It will be a mix of internal accruals, outside funding and debt,” he added. 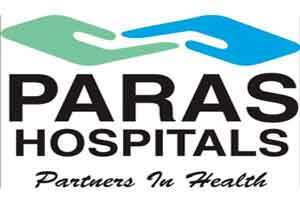 The company also plans to expand its specialised maternity and pediatric centres — Paras Bliss over the next five years. “We have two such centres at Delhi and Panchkula. We aim to at least five such centres over the next five years,” Nagar said.